Sell your FLOCK items on eBay ! Gone is the wind section (which is not necessarily a bad thing IMO). Gone is Jerry Goodman (which is not necessarily a good thing IMO). He was replaced by another great violin player : Mike Zydowsky who joined the band in 1973 or so for their touring over Europe. The music here is less jazz oriented than on their first two albums and there are some very good tracks in here. Still, jazz is very much present during the longest song from this album : "Back To You". 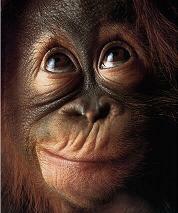 It goes along with the poorest : "Hang On" which is a funky / soul song which is best avoided, believe me. The best number out of this album is "Metamorphosis". Fantastic violin play from Mike and wonderful beat. If only they would have produced more of these. The closing part is simply gorgeous. Full of classicism. Vibrant, poignant, emotional : you name it. THE highlight of course. Frank Pappalardi (from "Mountain") produced the album which was recorded during a short reunion. Unlike some purists (not on this site), I can't write that this album is bad. It holds several very good violin breaks, nice compositions ("My OK Today" is another one). The closing number is also very intense : powerful drumming, impressive keys and great bass play. Another highlight. This is a good album after all. But there is no trace of this work on their official website as if the band would like to hide this release. 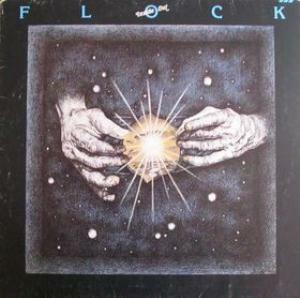 Jerry Goodman had been plucked away by Columbia Records to join Mahavishnu Orchestra after the Flock's second album, leading to the group dissolving and being dropped by the label. Too bad, because the promise showed on those first two records would never be completely realized thanks to the creative vacuum left in the wake of Goodman's departure. The back cover of 'Inside Out' tells the story of a band that just couldn't stay down, one whose music was crying to get out and led to a metamorphosis of the group with the unknown Mike Zydowsky taking Goodman's place on violin and Mercury replacing Columbia as the bankroll behind the outfit. That's the story as the band told it anyway; the music on this third and final studio effort tells a slightly different story. There are minor flashes of the grand and progressive sound, particularly on the instrumental "Metamorphosis" that features plenty of bent and wandering violin work along with tempo shifts and driving percussion, albeit in a decidedly more rocking vein than their brass- driven earlier work. But that song seems to be the best they could muster on what is otherwise a fairly brief effort consisting of three pedestrian and indistinctive rockers in "Music for our Friends", "Hang On" and "Back to You", along with another violin-dominated number ("My O.K. Today") that tries too hard to be a sort of resurrection anthem for a group that has clearly lost its magic. The album closes with "Straight Home", a wandering, mostly instrumental tune that displays the talents of the other new member, keyboardist James Hirsen. In fact, Hirsen's presence is felt much more on this record than any of the brass section or violin sounds that so defined the band's sound in their earlier lineup. The abrupt and unimaginative ending ("Music for our Friends" also faded out like a studio track that ran out of tape), showed that the band had little left in the tank as far as creative energy. Other than "Metamorphosis" this is a forgettable album with little left that resembled the big, spacious brass-rock sound of the group's earlier work. Most of the members pretty much faded away after the record failed at launch to make any inroads into their former fanbase or attract any new interest. The group would reform with a couple different lineups over the years, but for the most part this was a weak swan song. The times were changing anyway, and even peers like Chicago and Steely Dan were adapting their sound into something more commercially appealing and decidedly less progressive than the more ambitious stuff that briefly filled the airwaves in the early seventies. 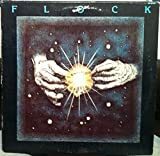 This is easily the weakest of the three Flock albums, and one that only serious fans of the band would likely ever be interested in. Pick it up in a cutout bin if you're so inclined, but be prepared to be underwhelmed. Two stars and not recommended, except maybe for the minor bright spot "Metamorphosis". Post a review of THE FLOCK "Inside Out"